Sometimes, all your report needs-other than your hard work inside!-is a strong, no-muss-no-fuss cover. And that's what we have here! 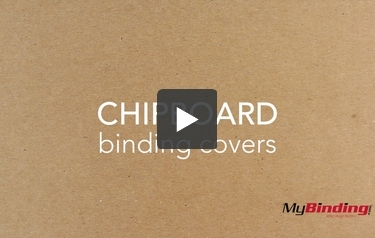 Our 46pt chipboard covers are a great way to keep your documents secure and rigid. Plus, they're made from 100% recycled material and can be recycled once done with. Have a differently sized project from the norm? Got it! We offer 18 different sizes to accommodate any project size. We also can pre-punch them for you, to fit any style of binding you might need. And that's a good thing, since these covers are so thick that many desktop binding punches can't punch through them. Add these covers to your next line of reports if you need durability and simplicity. They even work great with our flashier covers!